ejects with hangover excuse when questioned about his reasoning. Not sure how anyone is getting a town read off of these posts. Darthe, BFG, can you explain? i did my job, did you do yours bb? This felt a bit off to me. Everyone felt like Town and then I do a little poke and he says maybe scummy. You think both of you will be around for while? I think he's Mafia so am gonna get him Lynched today. So maybe you won't have to worry at all. Unless you're Mafia too and that was one of those distancing things. And from them Darthe get this??? Not sure how you got there Darthe. Realy not sure how you convinced yourself that I'm mafia either. I do know you are at best wrong about me tho. Trying to determine if you are wrong or mafia. I agree with you on Ithillian and probably BFG, but I don't see where you are coming from with Zander at all. If anything, Zander is one of the people I'm most suspicious of ATM based on his comment that everybody seemed townie at the time. I just played a game with him (his first game) and he seemed to be relatively suspicious of MOST people. Obviously one game is an exceptionally small - and borderline worthless - sample size, but his rapid change in approach has my attention. @Cory, She always says exactly what she thinks. It may be a Northern trait. Also would love to know why Darthe's other reads (I thought you were talking about him voting you at first, but maybe you meant the BFG and Zander reads?) are making you hesitate to townread Ithi. 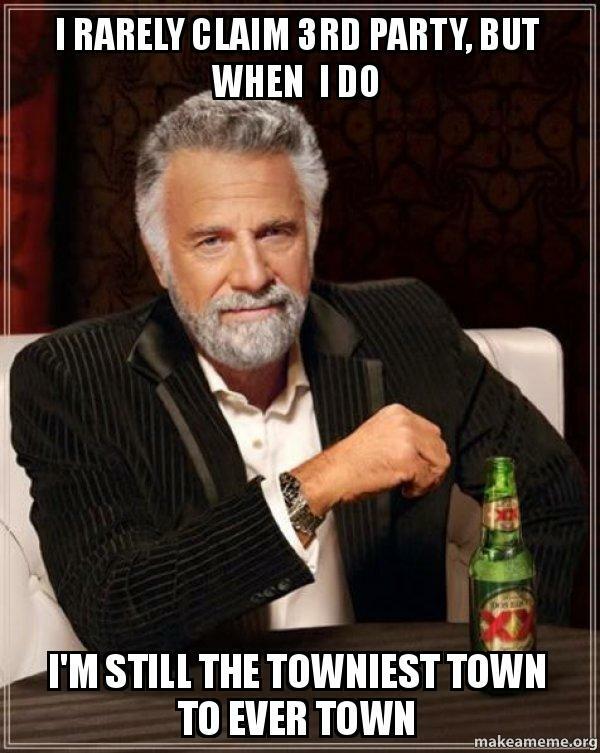 I'm still not actually Town though. Of course you are. Just like Lenlo.